This course covers a topic that every supervisor dreads: hiring and onboarding for a vacant position. This means having to recruit, hire, and train a new employee. It can also mean having to work additional hours until the position is filled. This course will help you identify ways to hire and train new staff who will keep that position filled! 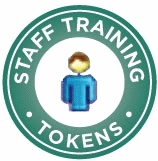 Providing staff with training that gives them the skills necessary to “do the job” is essential. You will use a combination of self-study and interactive exercises to enable you to understand the importance of the new-hire orientation process and become aware of what to expect during the process. You will also identify safety issues that are important for all staff to be aware of in performing their jobs. This information is appropriate for managers and supervisors who are responsible for training new staff in a variety of direct care positions. Recognize the necessity of a comprehensive New Employee Orientation Program in improving employee retention. Specify the importance of training in Quality of Care for consumers. Identify important safety topics to be included in an Orientation Program to reduce risk of possible injuries.